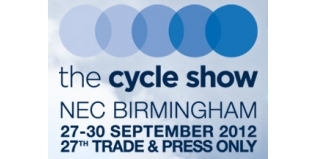 The Cycle Show (www.cycleshow.co.uk) 2012 is all set for 27th-30th September at the NEC, Birmingham. For 2012 some of the biggest brands in the sport - Sepcialized, Trek and Madison for example - will be joining the show which promises to be bigger and better than ever. Tickets for the show cost £13 in advance, or £16 on-the-door - but Tri247 readers can save on that entry cost. Book your tickets using the discount code 'TRI'and you can secure your ticket for just £11.50. Check out the show highlights HERE and see the extensive exhibitor list HERE.